A decade ago, ArcelorMittal introduced SteelUser to provide our customers with a range of digital tools. Accessed via a web platform, SteelUser allows customers to track orders, access documents, and enter orders, and interact with customer service. Today, 90 percent of our customers use this web service every single day. Now ArcelorMittal is expanding SteelUser to become an omni-platform communication channel for customers. A new app is available to ensure customers have the information they need, wherever they are; the existing web services are being redesigned and expanded. The design of SteelUser services has become simpler and more efficient, and new features have been added to the app. That allows customers to follow orders, track shipments, and consult documents – services that can also be accessed via the web. 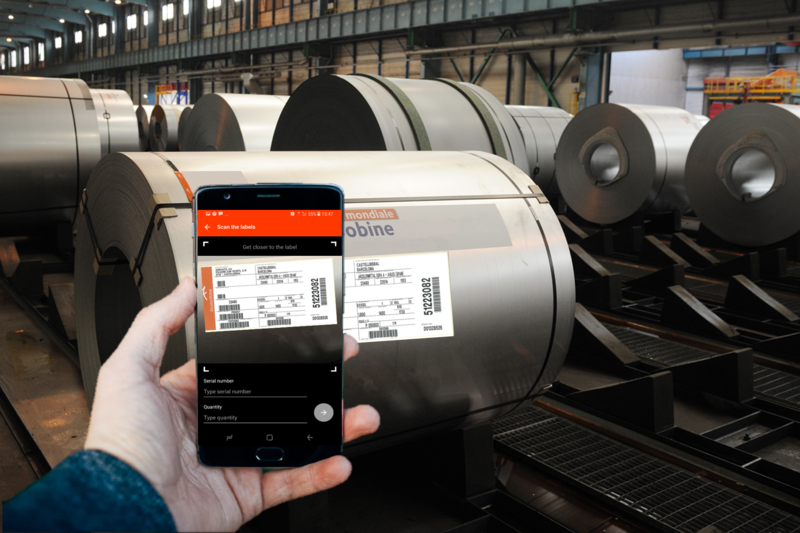 New mobile-specific features include the ability to scan a barcode on an ArcelorMittal product to identify the material, retrieve certificates, and provide feedback about a specific coil. Very soon, customers will also be able to scan the barcode to get detailed information about the coil’s specific properties. That will enable them to adapt their processing parameters to the specific properties of the coil, or check if a steel is feasible for their application. Customers will also be able to request quotes for customised products, call-off material, track alerts, and exchange information with customer service. Many features can be directly integrated into the customer’s Enterprise Resource Planning (ERP) system through API (Application Programming Interface) technology. That puts information such as the production and delivery status of an order, directly into the customer’s own IT systems and ensures the information is available to the entire business. SteelUser provides for quick, efficient, and reliable interactions between customers and ArcelorMittal anywhere, and at any time. Why not try the new features of SteelUser today?